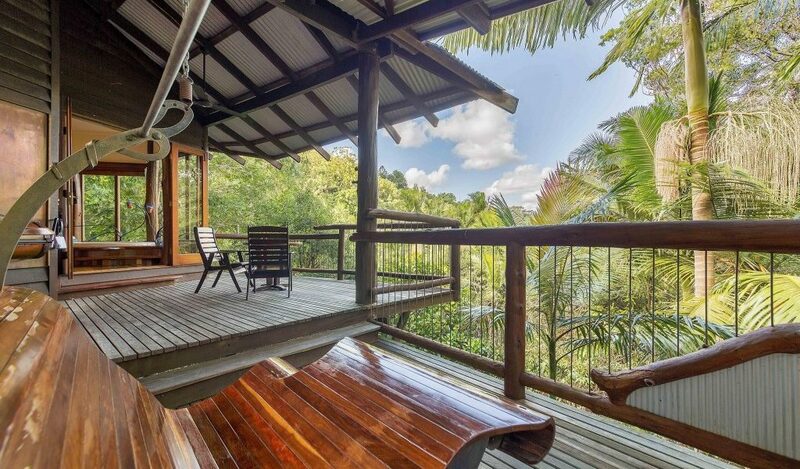 The Bower luxury treehouse cabin is located high in the rainforest and has a breathtaking view. 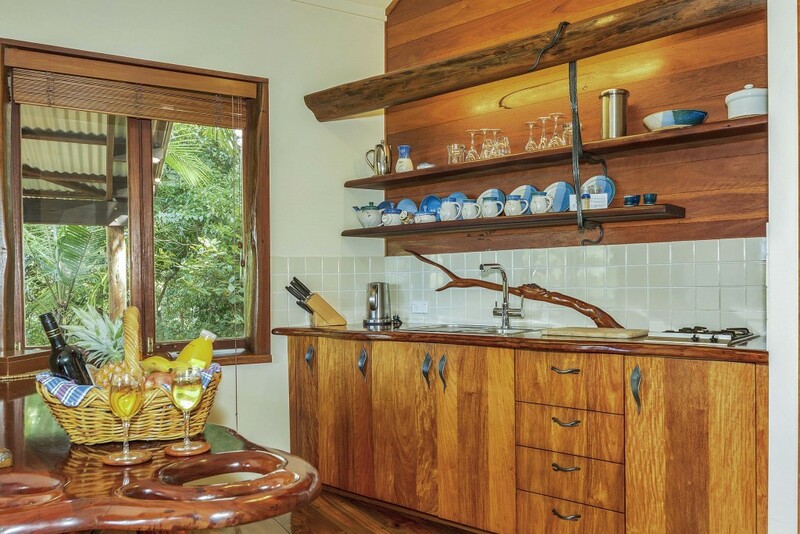 Our Bower cabin is hidden away, accessed via our elevated wooden walkways and your very own drawbridge. 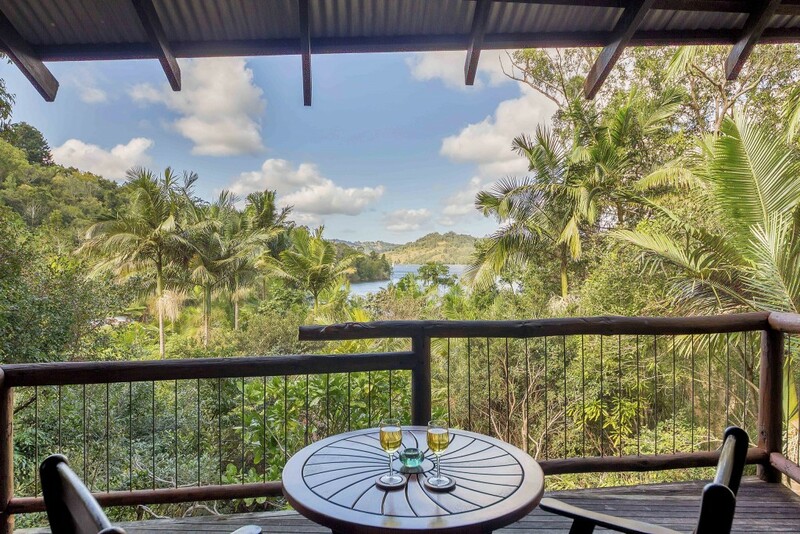 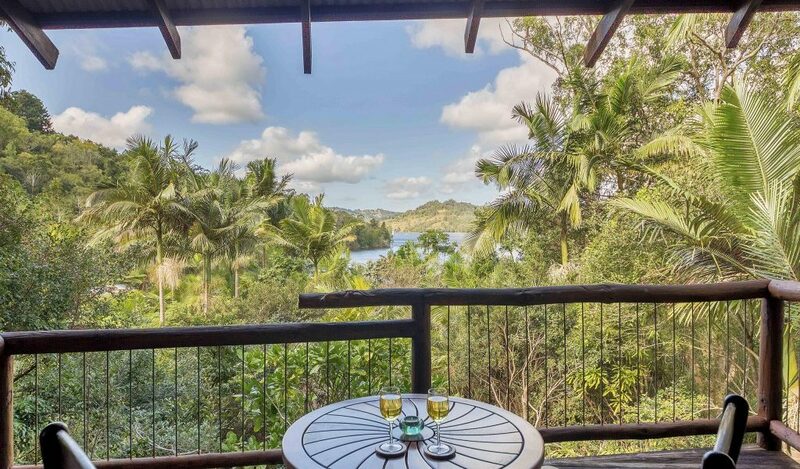 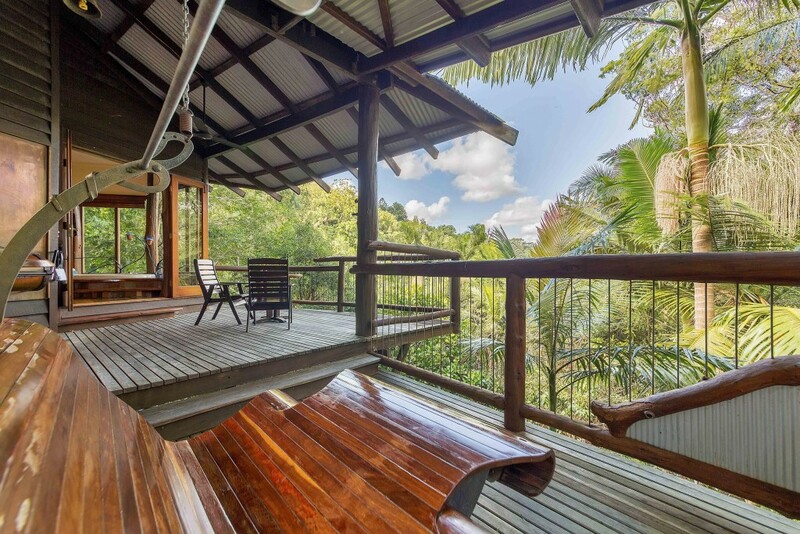 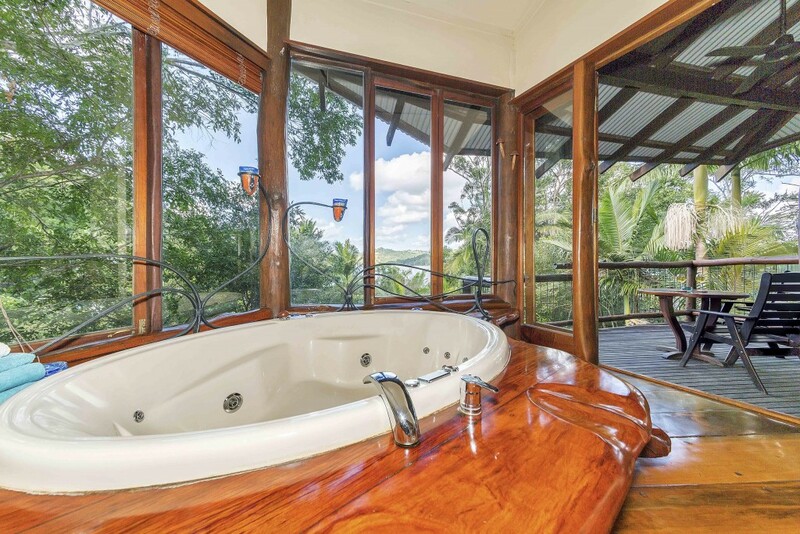 It offers some of the best views available, taking in the length of Lake Baroon from your own private deck. 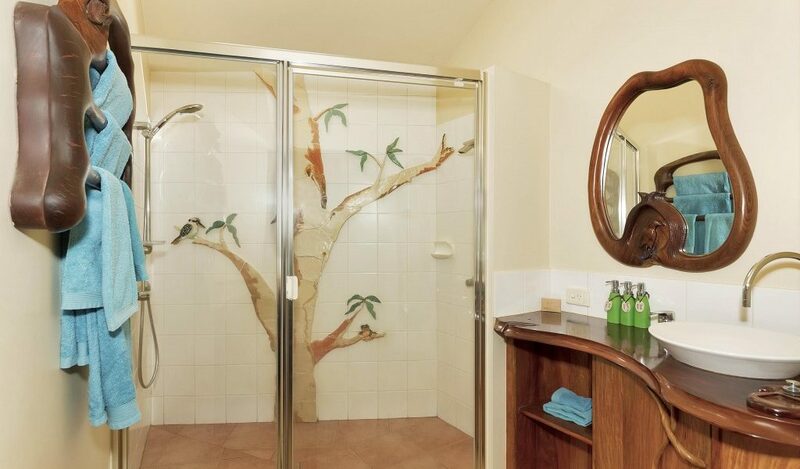 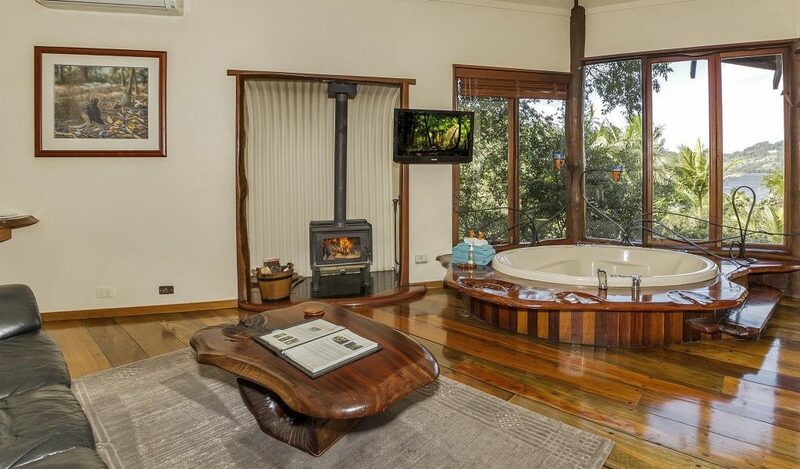 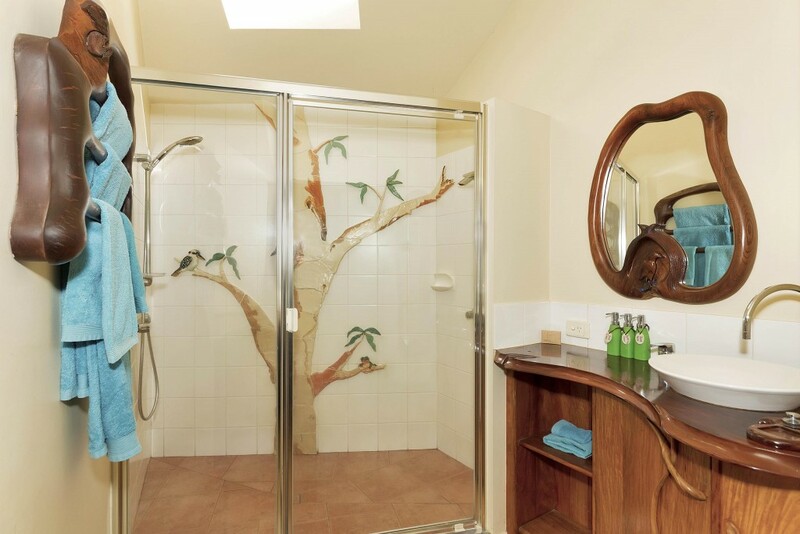 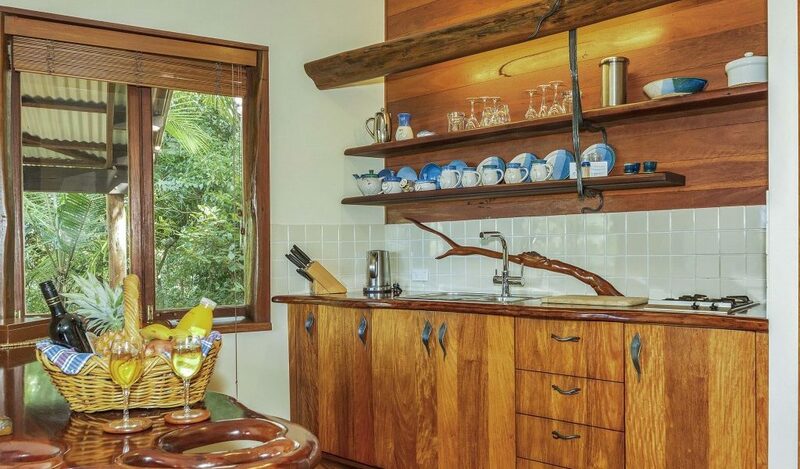 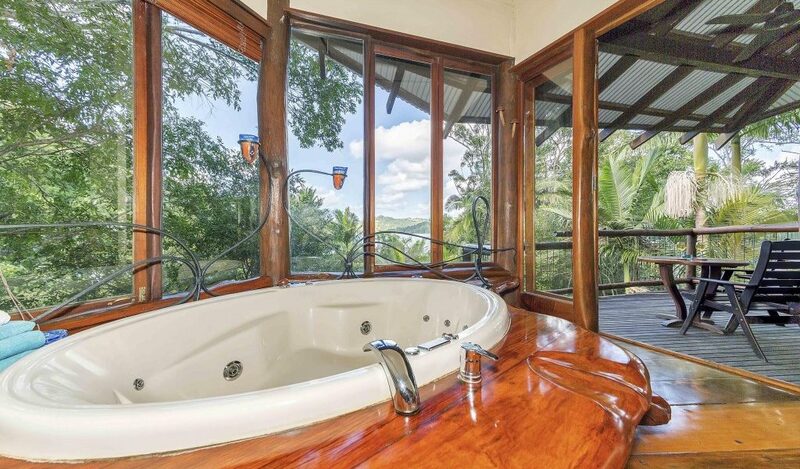 This spacious treehouse cabin, high up in the rainforest, is spacious and features beautiful wooden floors and hand-carved fixtures as well as a unique ceramic tree sculpture in your shower by Rebecca Wilkie, ironwork by Ralf Driessen and has been recently refurbished by interior designer Tracy Dunne. 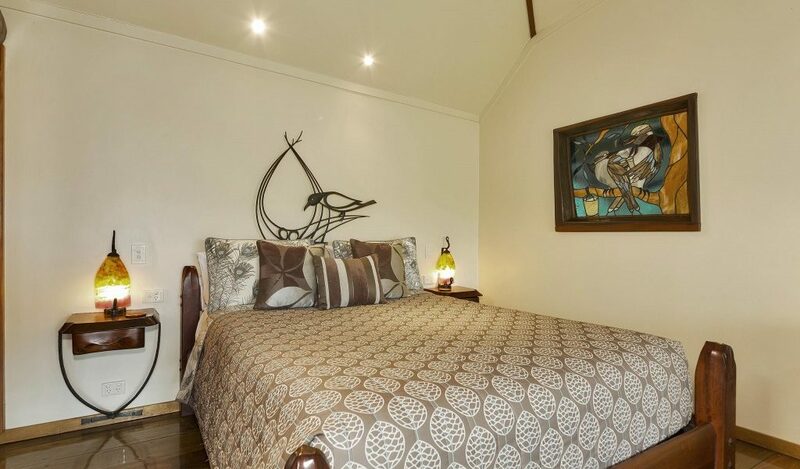 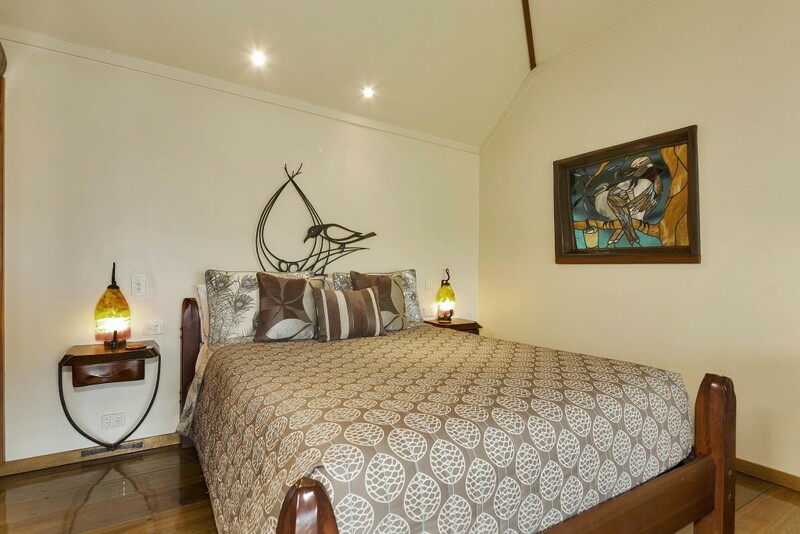 This cabin is perfectly positioned to capture the sunlight in Winter and a nice cool breeze in Summer, making this a great year-round accommodation option in Montville. 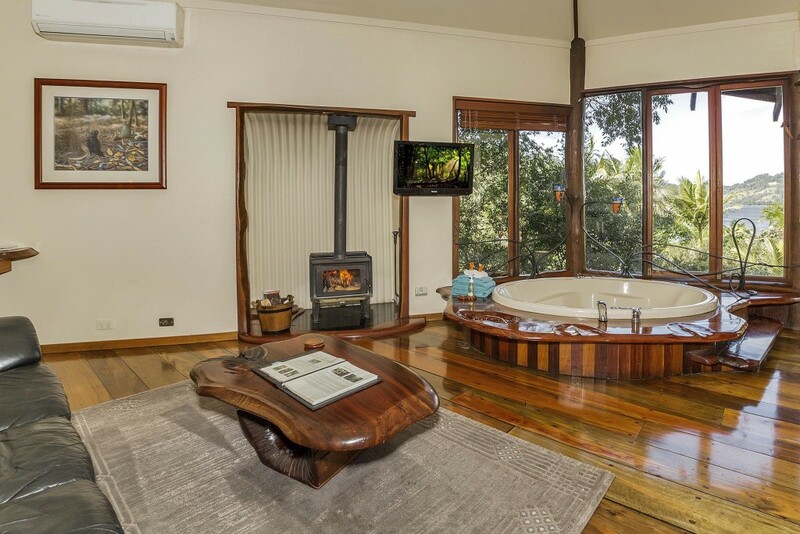 TV, DVD and CD players, and access to our DVD library.